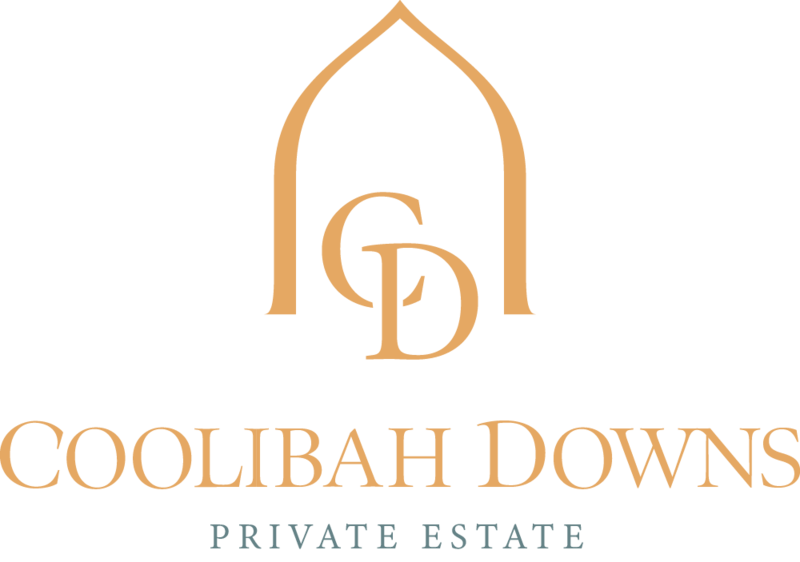 It’s safe to say we love a beautiful marquee wedding here at Coolibah Downs. 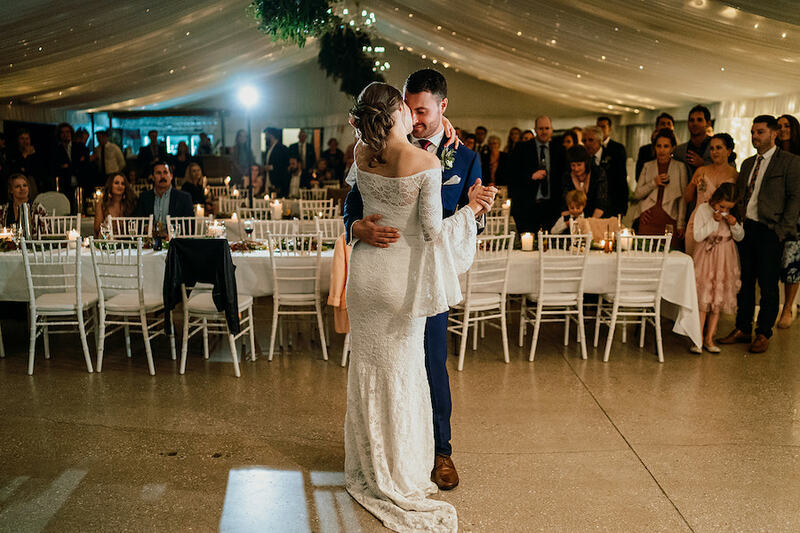 Our silk-lined marquee is the perfect “blank canvas” backdrop for any wedding theme – from rustic and boho, to elegant and refined. Marquee weddings not only allow you to personalise your wedding styling to suit your own unique vision, but also provide a romantic and intimate vibe for your festivities. Not to mention being the perfect wet weather option for those unexpected rainy days! 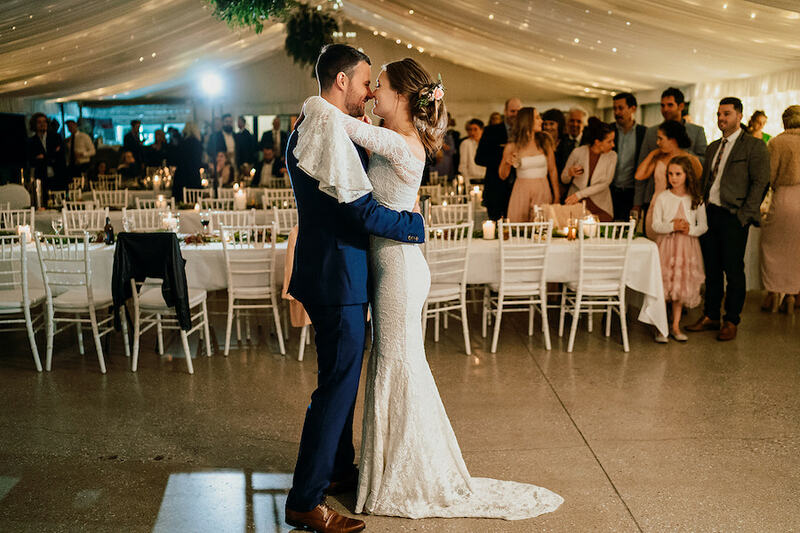 To kick off the new year, we wanted to share some marquee wedding styling tips and ideas from recent weddings to help you create the ultimate marquee reception here at our Gold Coast hinterland venue. 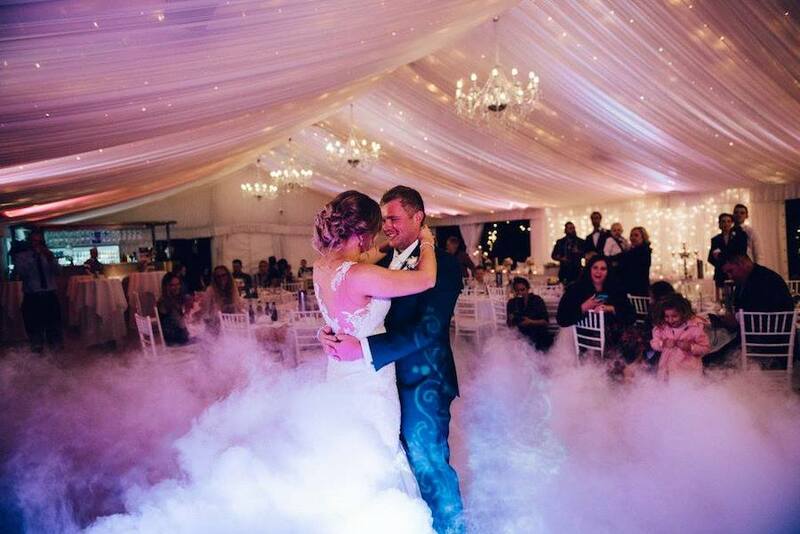 Keep reading for our words of advice to make the most out of your marquee wedding! A statement entrance feature will really help to set the tone for your marquee reception. 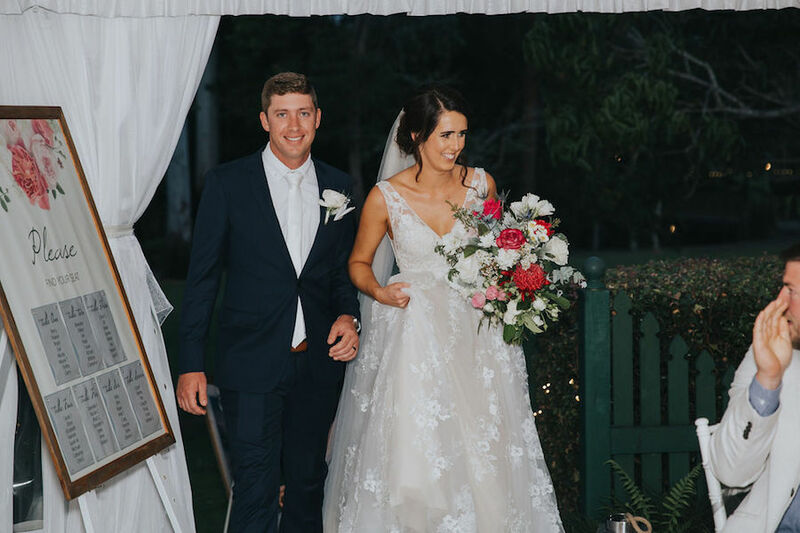 Consider how you want your guests to feel as they enter your marquee for the very first time – it’s all about the “wow” factor and making them feel warm and welcome. 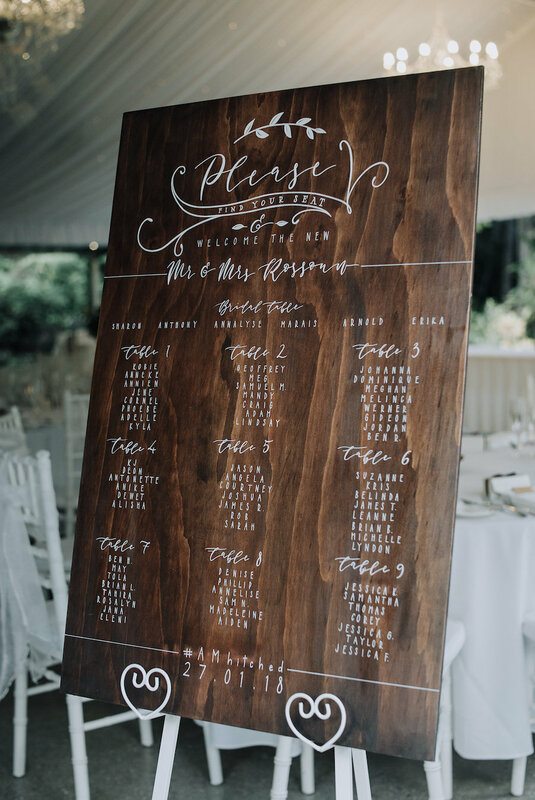 With this in mind, you might choose to enhance your marquee entrance with a custom welcome sign, a creative seating chart, or some statement floral styling to personalise your guests experience! 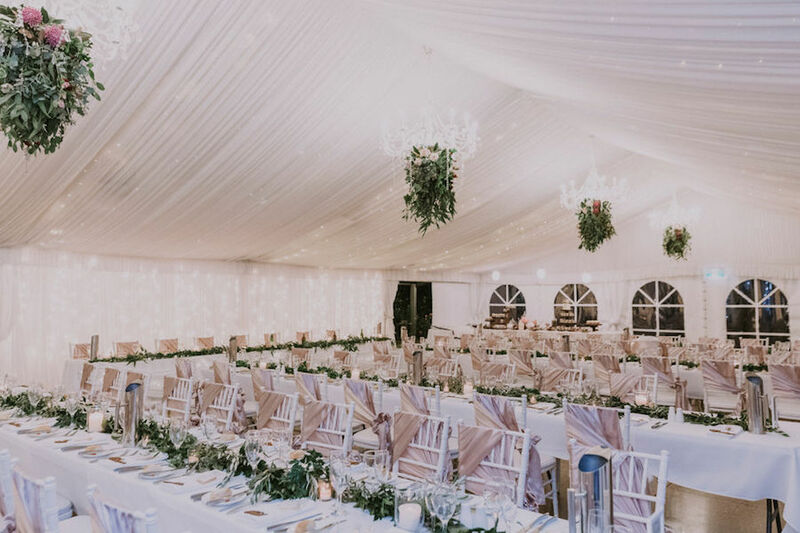 Marquee weddings are all about that soft, romantic feel – so enhance this even further with some stunning lighting features to create an intimate, glowing atmosphere. We love strings of fairy lights, festoon lights or even hanging chandeliers for something more dramatic! You can also play with lighting when it comes to your table styling – clusters of candles, lanterns and tea lights down your reception tables can transform the whole space and create a beautiful soft ambience. 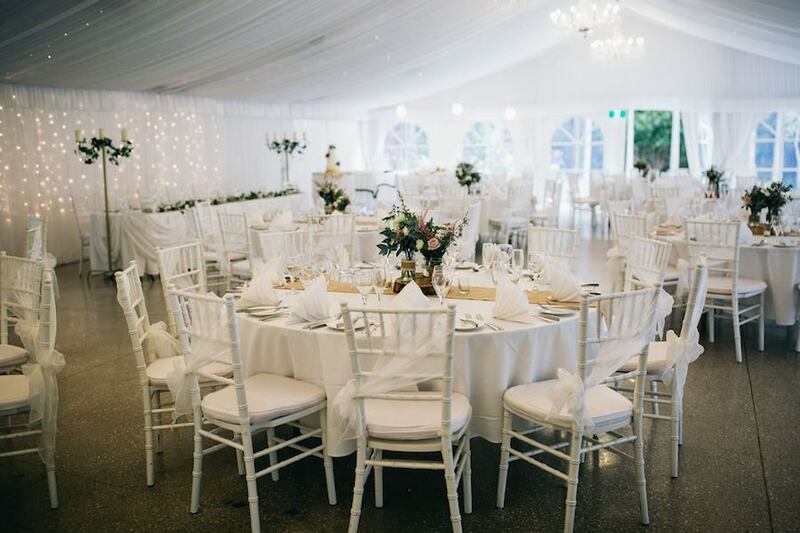 Speaking of reception tables, it’s important to consider which table layout will be the best fit for your marquee. 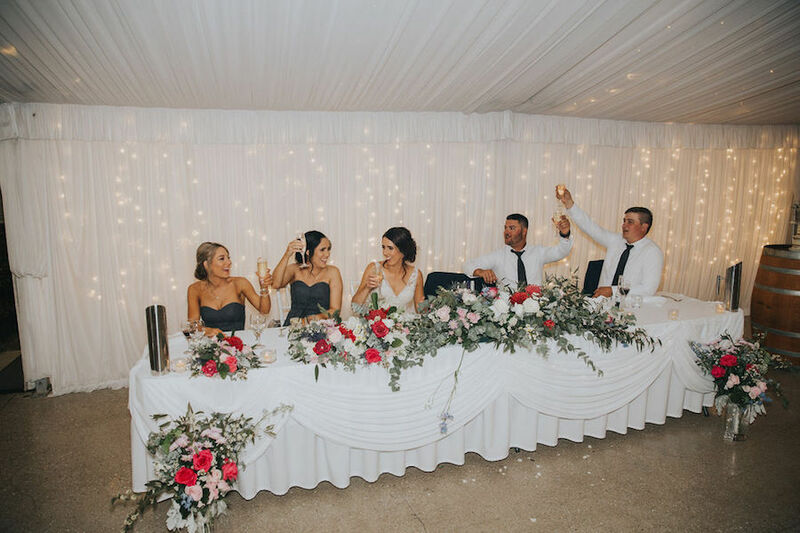 Choosing the right table layout all comes down to both your guest numbers as well as the overall vibe you want to create for your day. For example: do you want long, communal tables with guests sharing food in a relaxed, festive manner, or something more refined and intimate with individual round tables? You can check out our top tips for choosing your reception table layouts here to weigh up the pros and cons. 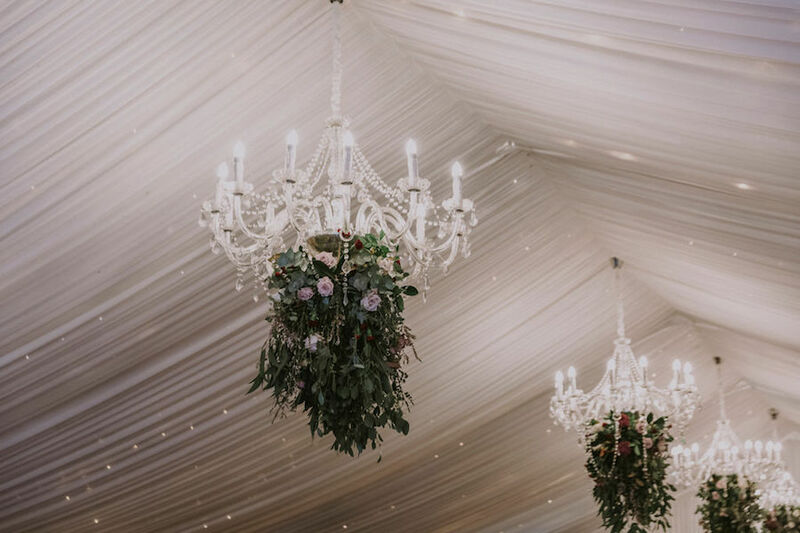 The crisp white backdrop of our silk lined marquee means that the colours you use throughout your wedding styling will really pop and make a statement! 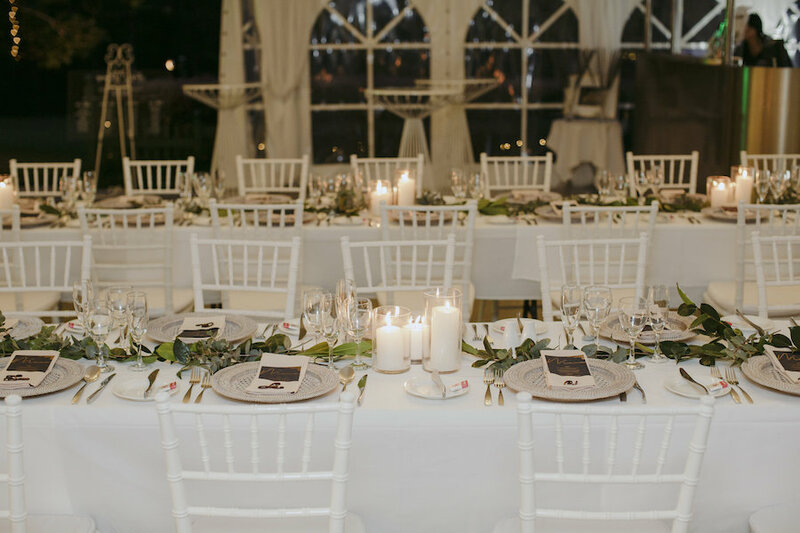 Whether you choose to incorporate colour through your table linens, floral styling or stationery, a hint of colour (even just some subtle foliage and greenery) will help to break up all of the beautiful whites to create a stunning contrast. Learn more about choosing your wedding colours and decorations right here! Another great feature of marquee receptions is the ability to hang floral installations from the ceiling. 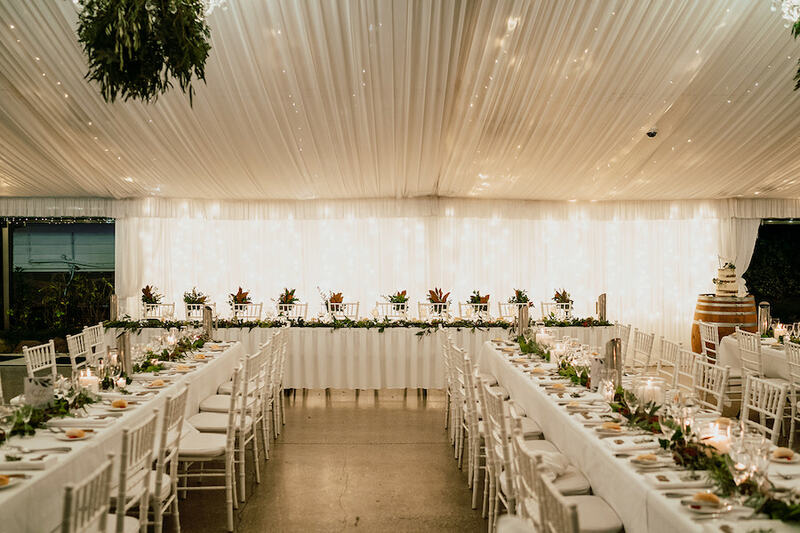 From simple foliage garlands to lush explosions of florals and greenery, there’s nothing we love more than a flower-filled marquee! Hanging installations help to create a magical atmosphere within the marquee, and also look incredible in your wedding photos. Marquee weddings aren’t just beautiful, but functional too. We love helping couples design their dream day from the ground up with our stunning silk lined marquee. 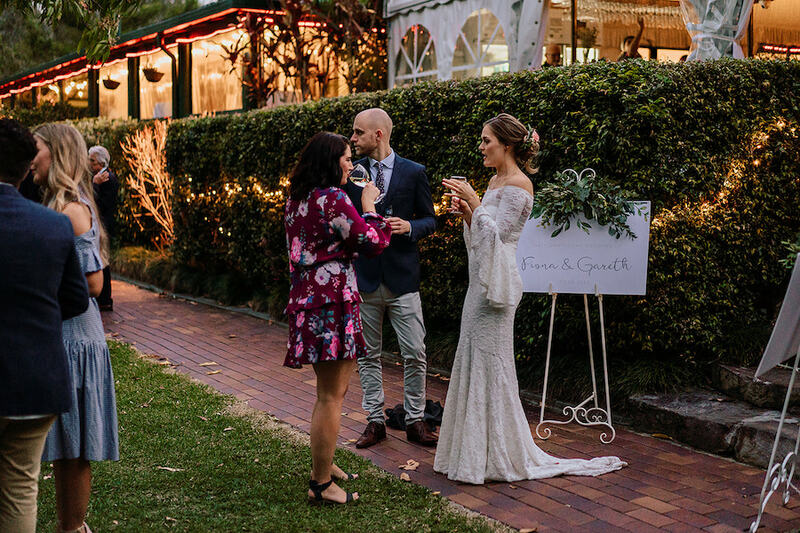 If you’re currently hunting for the perfect Gold Coast hinterland wedding venue and want to see our marquee in person, be sure to attend our upcoming Wedding Showcase Festival in February! Head over to our Facebook event right here for all of the details, or get in touch for a copy of our latest wedding collections to start planning your day.